Here are some other stories which have appeared this past year about Landmark Books. We appreciate all the local media does and encourage our customers to support local media as well. 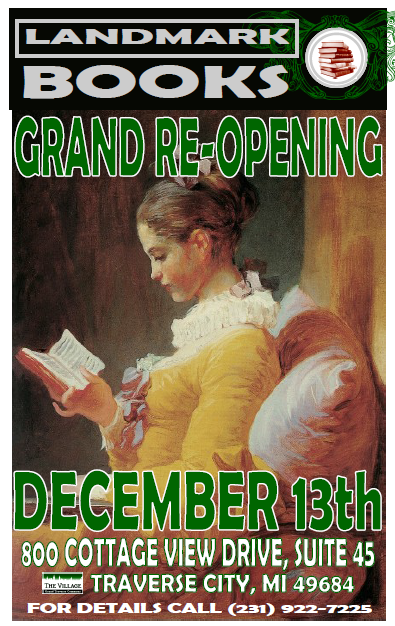 We will be holding our Grand Re-Opening on Saturday, December 13th. The store will open at the normal time, 10:00am and we will have some specials and snacks so if you haven’t been in the store yet, stop on by and see why Landmark Books is the premier used bookstore in Traverse City.